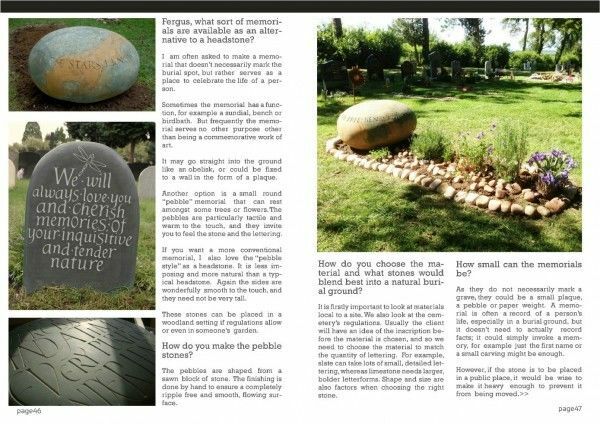 "Choosing a natural burial can be the most wonderful option; the beauty of the landscape becomes the memorial and there is a reassuring feeling that the soul of the deceased is wholesomely integral to the environment. 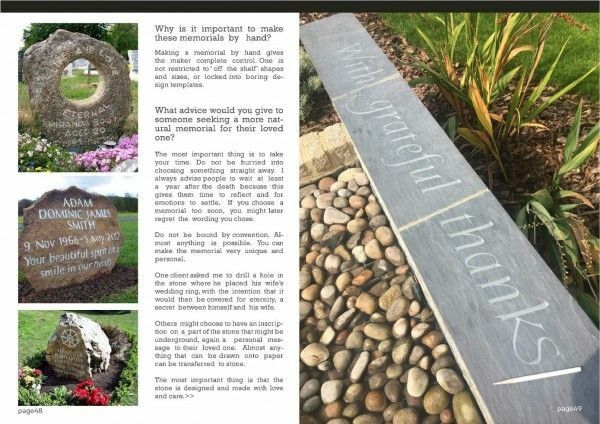 For many, however, when grieving, some sort of marker is needed as a focal point.......fortunately there are alternatives to the conventional headstones you see in cemeteries, here we hear from Fergus Wessel ......who specialises in hand carved, alternative stone memorials. " The article is scanned below. 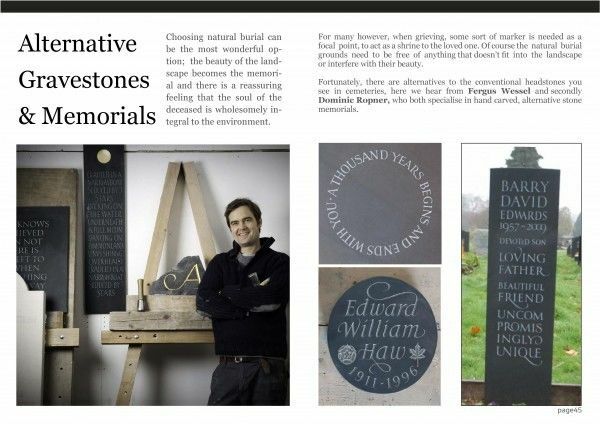 Please note that the stones appearing on page three in the left column were made by another stone mason, Dominic Ropner.